Sefiani Communications Group and client EY have achieved significant industry recognition at the PRIA 2018 Golden Target Awards, with the agency’s campaign for the EY University of the Future report being declared the winner of the national Business to Business Campaign category. The report, which also won the Business to Business and Corporate Communications Campaign categories at the state level, successfully challenged the way Australians think about the future of higher education, and helped to position EY as the leading policy and advisory expert for the tertiary education sector, in a time of significant transformation. 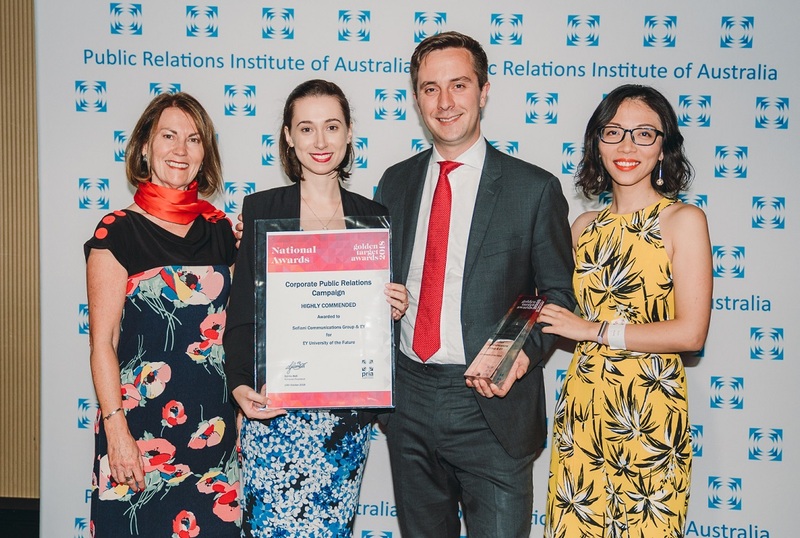 Sefiani was also awarded a Highly Commended in the Corporate Communications category, and a Highly Commended in the Thought Leadership and Medium Consultancy state categories, following a series of wins at the 2018 SABRE Asia Pacific Awards, in recognition of the agency’s work with privacy campaigner Brieana Rose.